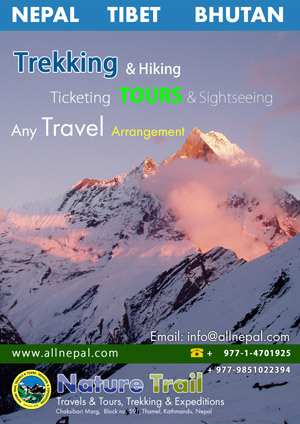 Life threatening Cholera | Provides complete information about Nepal‘s local product, business, news, events, coupons, local hero, local model, local culture, travel, trekking, biking or anything that related to Nepal. KATHMANDU: Cholera — most of the headlines read this nowadays. And doctors fear an outbreak in the Capital. Perhaps now everyone will start taking it seriously, which is unfortunate, but true. The point is not to panic anyone but to spread awareness. After all cholera can be prevented with proper hygiene and it can be stopped from becoming an epidemic. Before all this however, you need to know the basics about cholera. When you are well informed, spread the word because you never know you might be saving someone’s life. Yes, cholera can result in death. It is a devastating diarrhoeal disease. It is an infection of small intestines caused by vibrio.cholerae. “It is a public health concern in the developing world today as it can cause rapidly progressive dehydration and death in a matter of hours,” highlights Dr Rakshya Shrestha, MD, internal medicine, Institute of Medicine, TU, Teaching Hospital. Nonetheless, if fluid is given promptly “death can be avoided”. However, the severity of cholera is greatest in people of blood group ‘O’, while ‘AB’ are at least risk. “The reason for this is unexplained,” adds Dr Shrestha. When it comes to symptoms some can be asymptomatic or have only mild diarrhoea, while some others have life threatening diarrhoea with “10 to 20 litres of diarrhoea per day”. Moreover, severity depends on the immunity, blood type and nutritional status of a person. Therefore, as per the doctor there is “no vulnerable age group rather vulnerability depends on nutrition and immunity”. It is important to understand that if a large volume of fluid is lost in diarrhoea “there will a drop in blood pressure, decreased urine, generalised weakness and coma may occur”. Kidney also may be affected “so the person should be given adequate fluid and electrolyte, which will help the disease dissolve in a few days”. When it comes to diagnosis “it is mainly clinical”. It can be confirmed by identifying vibrio.cholerae in stool. The main focus of treatment according to Dr Shrestha is “adequate fluid must be replaced and ORS must be given”. In case, if you are unable to purchase ORS sachet, you can prepare this at home and Dr Shrestha instructs “add half teaspoon of table salt and four teaspoons of table sugar to one litre of water”. So the more you consume this, the better it is. Dr Shrestha also highlights that World Health Organisation (WHO) has recommended giving antibiotic to cholera patients only if they have severe dehydration. I cherished up to you will receive carried out right here. The comic strip is attractive, your authored material stylish. nonetheless, you command get bought an shakiness over that you want be handing over the following. unwell surely come further until now again since exactly the same nearly very steadily inside case you shield this hike.